Warning: These Adventure Time Art Books Are The Ultimate Time Sink! There's so much beautiful weirdness packed into every 11-minute episode of Adventure Time, it's hard to appreciate it all. Which is where two new books come in. 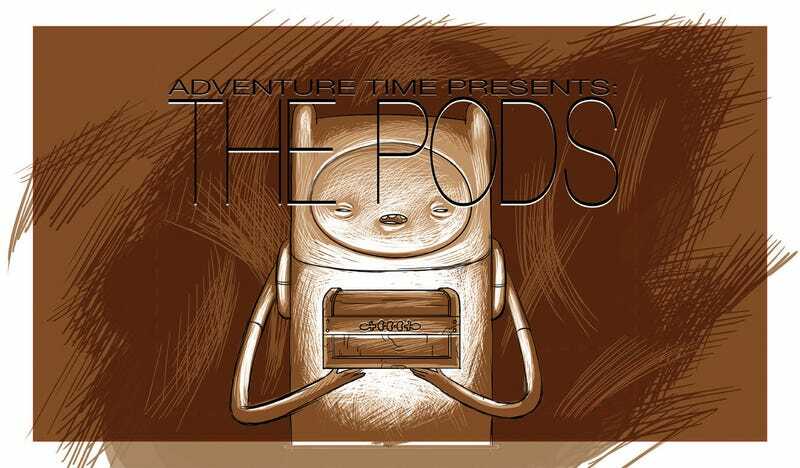 Adventure Time: The Art of Ooo and The Title Cards give you a closer look at the show's creativity. We've got some never-seen artwork from both books. 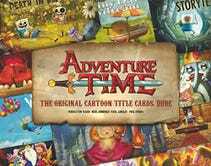 These images come from the book Adventure Time: The Original Cartoon Title Cards, Vol. 1, from Titan Books. The Title Cards book is just what it sounds like — those title images that appear at the start of every episode, in gorgeous detail. Plus a ton of early sketches, and info about each episode. Plus artists' commentary from the artists who created the cards: Pendleton Ward, Pat McHale, Nick Jennings, Phil Rynda, and Paul Linsley. 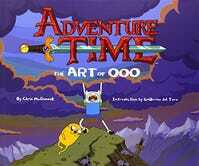 The other new Adventure Time art book, The Art of Ooo, is even more lavish and detailed. You can spend hours getting sucked into looking at all the early sketches and concept art pieces and storyboards. Including some really startling, off-kilter stuff, like a test that shows what it would look like if the cartoony Finn and Jake were in a painted, smooth-looking landscape instead of the cartoon world they actually in habit. And plans for all the vehicles and environments in the show. But there are also early story outlines for a number of episodes — which are a mixture of story points and things that happen, plus sketches of the key moments. And there's actually a document that details the version of the three-act structure that the show tends to use for its ultra-short episodes. But that's not all — on every other page, there's something insane. Like early concept art of Lumpy Space. And the very first designs of what eventually became Flame Princess. Fans of Adventure Time will basically lose their freaking minds. Here's some exclusive artwork from the Art of Ooo book — three images from the wealth of concept art for the episode "Food Chain." Anime television and film director, screenwriter, and artist Masaki Yuasa drew this artwork, and also created the entire episode himself.